The how and where of getting prescription medications such as HGH injections is something to understand if you believe you might have adult growth hormone deficiency. Why is it necessary to know how to get HGH or where to buy it? The reason is simple: you could get scammed! Counterfeit pharmaceuticals may be even more rampant than fake designer handbags – and more dangerous. With a fraudulent purse, your biggest risk is being called out by a friend. With fake HGH, you put your health and potentially your life, at risk. Some people who have searched where to get HGH online have turned to companies that provide cheaply manufactured “HGH” overseas in China and other countries using questionable preparation methods and substances such as rat poison, drywall, talc, and other ingredients that you would never want to inject into your body. That is why knowing where to get HGH injections for sale legally is more relevant now than ever. HGH has become big business. The more people find out about the benefits of HGH, the more people you have wanting it. Overseas companies have to keep up with their supply for fast, cheap HGH. This is by no means the same quality as the human growth hormones coming from reputable pharmaceutical companies like Novo Nordisk, Eli Lilly, and Pfizer, to name a few. If you are searching how to get HGH online, you are at the right place. Greenberg Health is your source for legal, prescription HGH injections. The first step is a consultation with a hormone specialist to evaluate your symptoms – the reasons why you believe you might have a hormonal imbalance or deficiency. The only accurate way to measure hormone levels is through blood analysis. Without a blood test, you should never attempt to modify your hormone levels with any type of replacement therapy. Always undergo a physical examination before embarking on any new treatment. In this case, an exam is a mandatory part of the evaluation process as you must be cleared of other health concerns before you can get HGH from a doctor. Provide the hormone specialist with all pertinent medical history facts, including any illnesses, treatments you have received, medications taken, natural and herbal supplements, and anything else that might impact your diagnosis and treatment. One question we frequently hear at Greenberg Health is how can I get HGH from my doctor. People wonder how to convince their primary care physicians to prescribe them hormone replacement therapy to save them the expense and time of going to a specialist for treatment. Please know that your family provider will not likely comply with your request. When you understand how to get HGH prescribed by a doctor you realize that hormone balancing is a specialty all its own. This is an area of expertise that many doctors do not have. If you would not feel comfortable asking a family physician to perform brain or open-heart surgery because they have never done so in the past, you should not ask them to do something as tricky as balancing your hormone levels. Even the slightest change can affect other hormones, and that is why the specialist uses great care in determining treatment options and dosages. Human growth hormone therapy increases the level of HGH in the body to restore proper functions to your metabolism, immune system, brain, heart, internal organs, and even the regeneration of new cells. That is why contacting a hormone replacement center is crucial for optimum results. How can I get HGH legally if I do not live near a hormone clinic? You can contact Greenberg Health for a complimentary consultation with a medical advisor who will explain the process necessary to receive bioidentical hormone replacement treatment for GH deficiency. 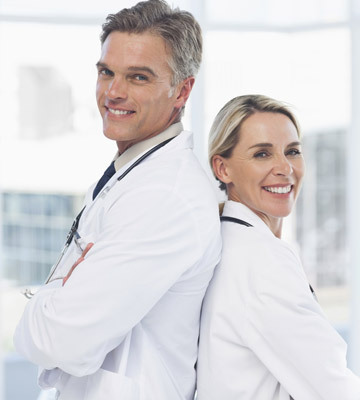 You will be able to get HGH legally following a visit to your local lab for a blood test and having any doctor you choose send us the results of a physical exam that together show the need for this treatment. Many people save time and money by visiting a walk-in clinic if they cannot get into their own health care provider in a timely fashion. By the way, if you had a recent physical, let our medical advisor know. You may not need to repeat the process. To get HGH in the US delivered to your door from a licensed US pharmacy, please contact Greenberg Health today to start your assessment process.